What Are Good Snacks to Give Before a Test? Do All Fruit Snacks Have Gelatin in Them? What Are Some Healthy Snacks to Bring to School? Carrots are not the only healthy snack you can send to school. 1 What Are Good Snacks to Give Before a Test? Healthy snacks help to bolster the nutrition and energy your child needs daily. 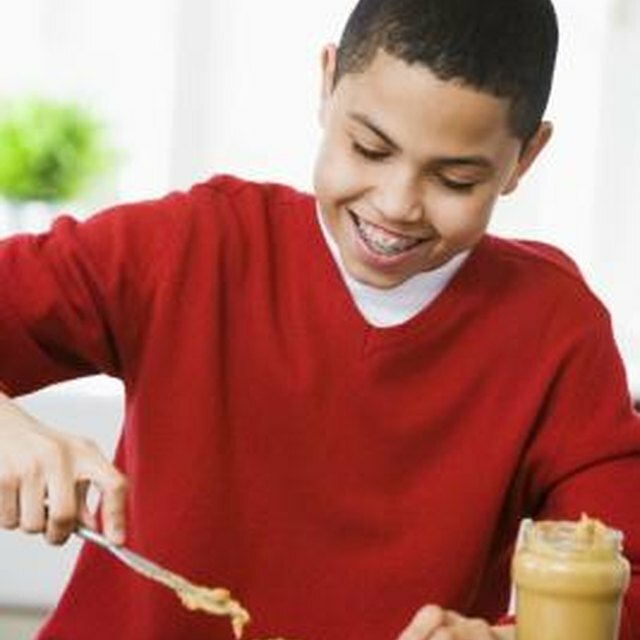 Eating healthy foods does not just stave off illness, but helps kids feel better and function well throughout the day. A continuous source of healthy foods helps regulate mood and energy. Send healthy snacks and your kids may perform better in school. Provide your child with the lasting nutrition of complex carbohydrates found in many types of whole grain cereal, bread and cracker products. Whole grain pita bread, tortillas, snack crackers and granola can be accompanied by fruit, cheese or lean deli meat for a filling snack. Pack grain products separately from cheese or fruit so that the grains do not become soggy. Fresh fruit provides important vitamins and makes a nutritious snack. Make fruit even more appealing by cutting it into bite-sized pieces mixed with some lemon juice to prevent browning. Place fruit in a small plastic container or skewer it safely on a sturdy straw. Cut the tip of the straw at an angle to help get it through the fruit. For a cold treat that also helps keep lunches cool, freeze grapes, chunks of pineapple or peach slices to send for a school snack. If you are worried about your child getting enough protein, send some for a snack. Foods such as plain yogurt and meat jerky provide a good source of protein. Spread nut butters on fruit or crackers. Check school rules before sending nut products; some prohibit them because of the risk to kids who have allergies. Send a piece of hard cheese with meat jerky. Yogurt can be frozen and help keep lunches cool. Mix it with fresh fruit or granola for taste and texture. If you have a picky eater, sending vegetables as snacks may prove to be a challenge. A veggie snack, however, can fulfill part of the U.S. Department of Agriculture's suggested daily requirement, which recommends that half of each meal be fruits and vegetables. Pack raw vegetables with a dip, such as salsa or ranch dressing. Fill celery sticks with cream cheese and top them with raisins or nuts. A frozen water bottle will keep foods chilled and provide a drink at lunchtime. Instead of prepackaged popcorn, trail mix and chips, make a large batch yourself and parcel it out for healthy, quick snacks. Toss grated Parmesan cheese with plain popcorn or unsalted pretzels. Make trail mix from dried fruit, nuts, oat cereals and a few dark chocolate bits. Make homemade, healthier chips from thinly sliced sweet or regular potatoes tossed with a bit of oil, then baked in a hot oven for 20 minutes. Allow them to cool completely so they get crispy. What Do You Pack in Your Child's Lunch for a Zoo Visit?